We talked about changing voice while in-game and the AV Voice Changer Software line. Today, I'd like to show you how to have more fun by using AV VoizGame for changing voice in World of Warcraft online game.. Step 1. 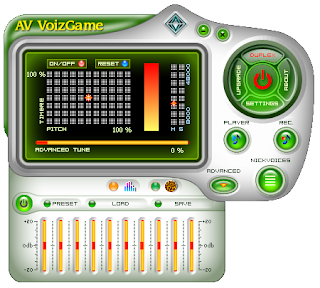 Make sure that the voice changer software - VoizGame is working in VAD (Virtual Audio Device) mode. - Click on Settings via the round-controls group. 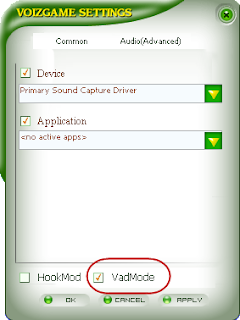 - Check and make sure that the VadMode option is selected. Hit Apply and Ok after you select it to apply the settings and close the Settings window. - User your mouse or left/right/up/down key to move the timbre and pitch cursor around the grid until you get your desired voice. - Usually moving the cursor to the Left make your voice sound more-male, and to the Right make it sound more-female. Moving up would make it sound younger, and down sound older. 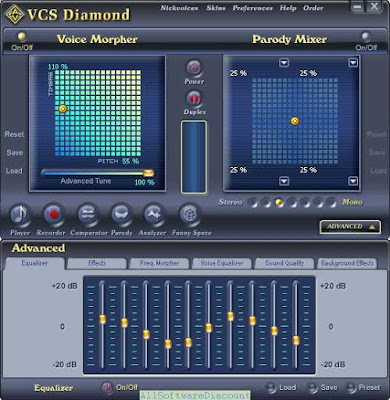 - You may also want to use the voice Equalizer to make your voice sound better before join into the chat room of WOW's in-game voice chat system or 3rd party's chat server such as TeamSpeak, Ventrilo, etc. Step 3. Make necessary changes with WOW settings. Important! - Join into WOW, call up the Option window. - Select to enable the "Enable Voice Chat" checkbox. - For the Microphone settings, select Avnex Virtual Audio Device. - Save and close the window. 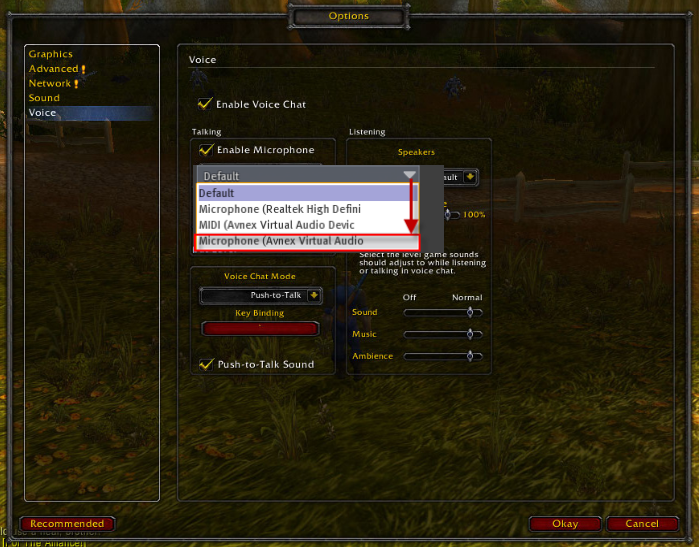 Now when you want to change your voice while in-game, you just need to open the VoizGame program and turn it on. I am trying to get VADMode to work, but Windows cannot find the Signature for Avnex Virtual Audio Device. Any ideas? Which version of Windows are you using? Is it VISTA 64bit? - You have Virtual Audio Device installed successfully on your computer. *Driver*folder >> Right-click on *drvinst.exe* *(32-bit OS)* or *_inst64.exe* *(64-bit OS) *>> Run as Administrator >> Wail till the MSDOS window automatically close. For Windows Vista 32/64 bit, you need to set 'Avnex Virtual Audio Device' as default sound Recording device by selecting it in Sound dialog box. Yeap. Knowing the system configuration would help.